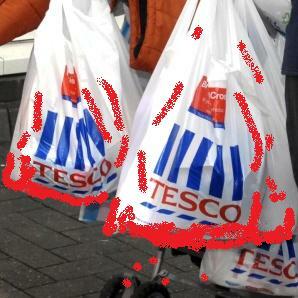 The Tesco 2: stop the killing, stop the crime, Free Free Palestine! (thanks to Richard for the forward!) The Tesco 2 are Dee Murphy and Greg Wilkinson who kicked off a campaign to boycott Israeli goods by going into their local Tesco store, filling a trolley with dates produced on illegal Zionist settlements on the West Bank, taking them out without paying, tipping the dates on the ground and spraying them with red dye, then waiting for the police to arrest them. Dee is in court in early April. The police did not, for some unknown reason arrest Greg, but things have taken a turn for the worse as the following message I received from Greg last night shows…..
Police raided three houses yesterday and arrested two people – including me – on suspicion of ‘conspiring to commit racially aggravated criminal damage.’ They seized three computers and a lot of papers relating to Palestine/Israel affairs. They’ve kept my computer, which may mean they pick up some email addresses. Luckily the papers with addresses and phone numbers were out of the house by the time they searched it. So what was all that about? It took us some time to realise that the police, in several vans and cars, were from Bridgend, not Swansea. Apparently there was a minor incursion at the Bridgend Sainsburys, during which a couple of boxes of Israeli peppers were sprayed with red paint and a ‘Boycott Israel’ slogan spray-stencilled on the floor. The police, or whoever set them up, took the word ‘Israel’ as racist, and it was assumed that the Bridgend and Swansea actions were co-ordinated, or conspired, by some sort of organisation or command. Other things that annoyed us: a policewoman running into the house without so much as a knock or introduction and asking ‘Can I use your toilet,’ but seeming quite put out when I answered ‘Yes, if you get my computer back.’ Now we have no list of what has been taken away, and will only find out as we come to look for this or that. And the police at Bridgend who offered me a phone call to my wife, to say where I was and when I might be back, but then refused to let me ring her, because they were too busy. They also failed to tell me that my solicitor had rung, so when it came to my recorded interview, and they asked if I wanted a solicitor, I said not unless I was charged: I was anxious to save time and not bring the man all the way from Cardiff. When I was asked about medical complaints and drugs, I mentioned a muscular condition, and a detective sergeant I’d talked to earlier said ‘muscular stiffness’. ‘Viagra, is it then?’ quipped the desk sergeant. All I said at the time was ‘Nothing that localised, I’m afraid.’ But now it seems to me that sort of crack might have been uncalled for from a position of power. 3. That raids and searches, involving at least 20 police and guards on that one day alone, were a gross waste of police time and public money, not to mention infringement on civil liberties. On the other hand, most of the police and Group4 guards were friendly enough, and the house was left more or less tidy – not like the trashed interiors of Palestinian homes after raids by the IDF. Still, question remains who authorised this disproportionate use of police power and numbers – thousands of pound worth of public money to get to the bottom of a box of Israeli peppers and some graffiti on a Bridgend floor? 1. the campaign to boycott is beginning to bite and the Zionists have been panicked into a hasty and counterproductive response. 2. Things are going to get much rougher from now on. Now is the time to re-double our efforts. and, see what Richard’s written on his wonderful site. Keep up the good work. Israel will crumble as did South Africa. One Palestine 2 nations. Free Palestine! !